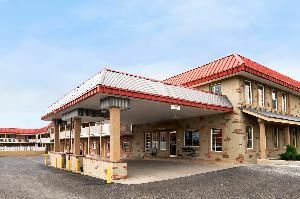 In the Heart of Montrose, and just 5 miles from the airport, The Days Inn is the perfect home away from home. The beautiful 70 Room property is just minutes away from Colorado's most beautiful landscape-- Grand Mesa features over 250 Lakes, Gunnison National Park, Ridgeway Park, Ouray Canyon Falls also known as little Switzerland. The rooms at the Days Inn give you the feeling of home and family, with our tropical outdoor pool and hot tub and homemade cookies every evening in our lobby. The free high speed Internet, complimentary USA Today, and Work desks make it perfect for business travelers. Start your day with our complimentary deluxe breakfast or our breakfast on the go bags. If your pet is a traveler, they will love our complimentary dog treats and petspreads. We are not just the perfect place to stay, We are the perfect home away from home.